The Michigan Department of Natural Resources suggests not pruning oak trees from April 15 to July 15 to prevent oak wilt disease. Oak wilt is caused by a fungus. It kills oak trees. A map of locations oak wilt was found in 2016 is below. According to the DNR, it mainly affects red oaks. Red oaks often die a few weeks after being infected, while the progression is slower in white oaks because they are more resistant. 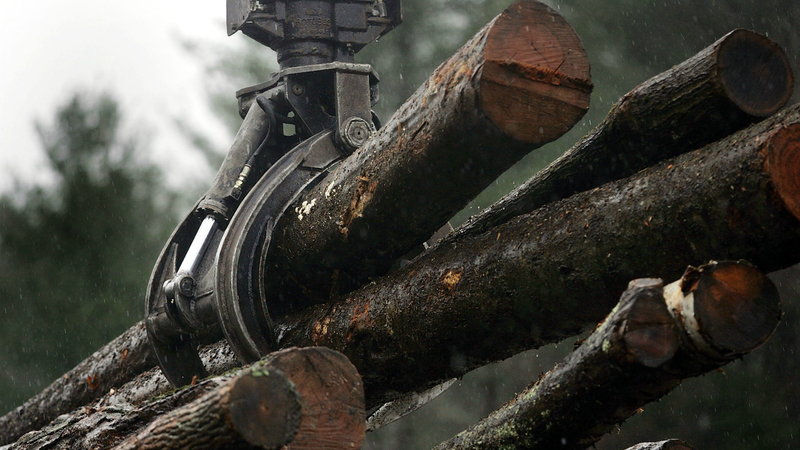 Trees that are wounded have the chance of being affected by the disease. Trees are often injured by tree-climbing spikes, rights-of-way pruning, nailing signs on trees and accidental tree-barking, or the removal of bark by unintentional impact. Oak wilt spreads when beetles move spores from fungal fruiting structures on the trees that were killed last year to wounds on healthy trees. “It doesn’t matter how cold the winter; it only takes a few 50-degree or warmer days for both the beetles and fungus to become active,” said Roger Mech, forest health program specialist for the DNR Forest Resources Division. Once a tree gets oak wilt, the fungus can travel through root grafts, killing trees along the way. According to the DNR, trees within around 100 feet of one another have connected root systems. If a tree becomes wounded, the wound should be covered with tree-wound paint or latex paint, the DNR said. Mech also said it’s important not to transport wood from trees killed by oak wilt until after July 15 because moving the wood can cause the infection to spread in a new location. “With the transport of firewood and other tree-related activities, you have to assume the risk is present, whether you live in metro Detroit or in the Upper Peninsula,” he said. If you believe you have firewood tainted with oak wilt, it should be covered with a plastic tarp with no openings. The heat generated while the wood is covered will kill the fungus, the DNR said, and once the bark loosens, the disease cannot be spread. See how to identify oak will disease here. 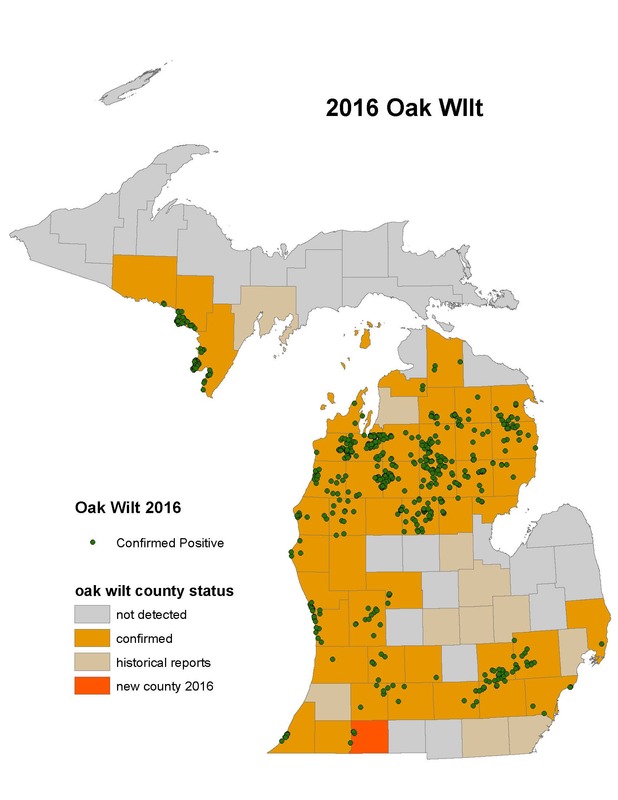 To report a suspected oak wilt site, email DNR-FRD-Forest-Health@michigan.gov.